If you are looking for a new soup to make for the family or yourself, consider bell pepper soup. This page contains bell pepper soup recipes. This is so easy and yummy! I make it vegetarian using soy ground instead of the ground beef. Add the cans of soup with two cans of water along with the peppers, onions, garlic and basil into a pot and heat on medium-high. Bring the soup to a boil, reduce heat and simmer for 5 to 8 minutes or until the vegetables are cooked through. Optional step: In a skillet, brown the ground beef and drain off the excess fat. Pour Worcestershire sauce over the ground beef and sprinkle with cayenne pepper and simmer until the liquid is cooked in, then add the meat to the pot. Add the cooked rice into the soup. Low in calories, high in taste and nutrition, and creamy but low in fat. Core, de-seed, then cut the red bell peppers into 2-3 inch strips and roast both sides on barbecue (med-high) until skin side blisters and turns partially black. Place pepper strips in paper bag for half an hour to cool and make easier to peel, then put on cutting board and remove the skin by scraping with a sharp knife. Set aside. Peel and slice garlic cloves into thin strips and in a large sauce pan, fry in margarine or olive oil for a few minutes until golden . Add the raw vegetables to the saucepan (except for the bell peppers) and pour in enough broth to cover them. Boil gently until fork soft. While the vegetables are cooking pour 1 cup chicken broth into a med-large sauce pan, heat on low, add half a brick of cream cheese stirring often until melted. Remove from heat. Alternately, pour cream cheese/broth mixture and cooked vegetables/broth mixture into blender and blend until fine. Pour back into large saucepan, add 2 tablespoons tomato paste, 1/2 cup milk or cream, and the remainder of the chicken broth from the container. Blend the roasted bell pepper pieces in processor until fine, then stir them into the cheese/vegetable/broth mixture. This can be kept in your refrigerator for 2 days. The same great flavors of stuffed bell peppers, but in a soup. It is a perfect meal on a chilly day. Bring everything in a large nonstick soup pot, except rice, to a boil. Let boil 2 minutes, stirring occasionally. Turn off heat. Stir in rice. Cover and let sit for 5 minutes. Serve hot. Season as you desire. Calories: 144, Carbs: 21 grams, Protein: 11 grams, Total Fat: 1 gram, Cholesterol: 15 mg., Sodium: 92 mg. 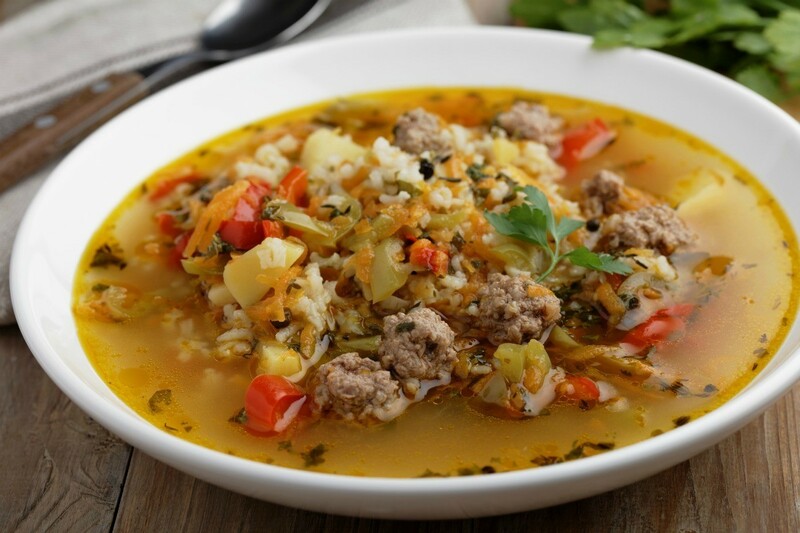 This hearty soup or stew has all the flavors of traditional baked stuffed peppers. 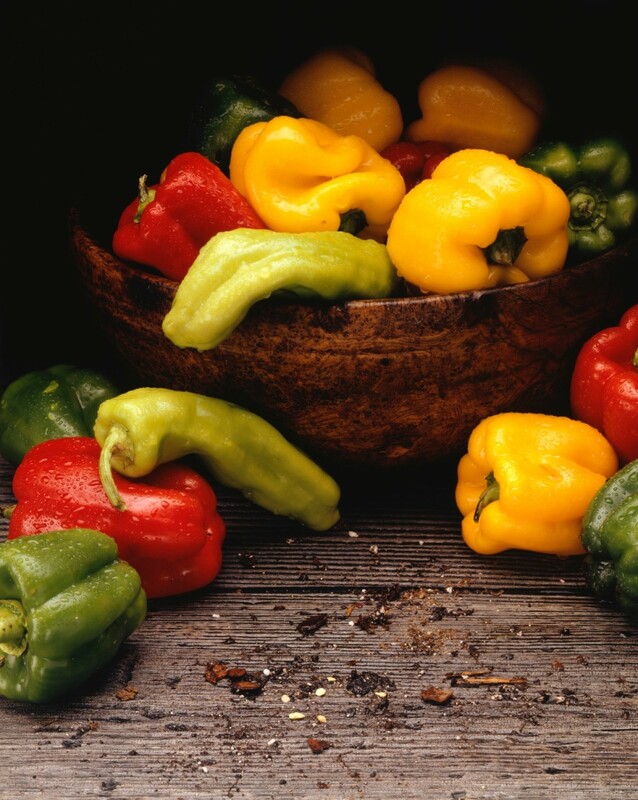 This is a guide about stuffed green pepper soup recipes.